My first console was a NES, and I have many fond memories of Mario, Battletoads, and a Boy and His Blob. But I moved to the UK when I was 6, and thanks to some combination of damage in the move and differing outlet voltages, we could never get the old Nintendo working. So I remember vividly the Christmas of ’94. I first opened two games for the Mega Drive games, Sonic Spinball and Ecco: The Tides of Time (why do I remember that!? ), and while they certainly looked really awesome, but I had nothing to play them on. My parents helpfully suggested that I could play them with my friends at their places, which in retrospect is really pretty hilarious. But of course, saving the headliner gift for last, there was the Mega Drive! Woo! I think I lifted it triumphantly above my head before immediately begging someone to help me set it up. Side note: If you’re American, or rather, an American who grew up in America, to you the console is called the Genesis. It’s only called that in America though. I’m going to use ‘Mega Drive’ throughout this series because it’s what I know it by, that’s what everyone in the rest of the world calls it, and it’s a better name. 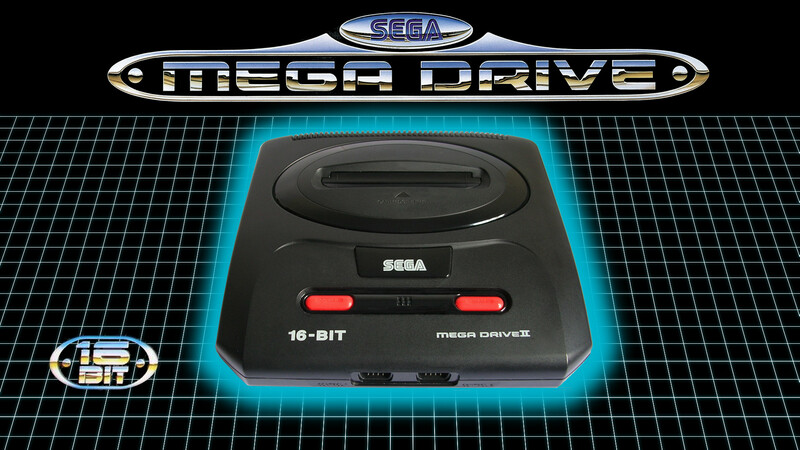 So, the console of my formative childhood years was the Mega Drive, which virtually everyone I knew owned. I don’t think anyone had a Nintendo. It’s the early Sonic games, not so much Mario, that evoke that painful pull of nostalgia for me. Many games I played as a kid are in this classic hits collection (including all the Sonic and Ecco games). I’m excited to revisit these. I know you can never go home again, but even just hearing the startup music for a few these pulls me back. A nostalgia romp would get old fast though. Games on the Mega Drive were the cutting edge, super polished, triple-A games of their time. But now, they’re the sort of games a small indie could crank out pretty easily. So, I’m hoping there might be some lessons and inspirations lurking in here. Amongst the many great insights in this article by Jeff Vogel is the observation that if it was fun once, it’s fun now. These games may be 20-30 years old, but they’re still fun. And, importantly, they’re fun in a way that can be replicated on a budget. I also really admire the minimalism in older games- when every byte of storage is precious, you learn to tell a story or impart an experience with the bare minimum. Restriction like those breed creativity. At their best, games from this era could do more (with character, plot and story) with less (no dialogue, cutscenes or lengthy text). I still remember the beginning of Sonic 3, when character motivation and plot impetus are communicated in just a few seconds: You’re rolling along, Knuckles bonks you, you drop your chaos emeralds, he snatches them up, laughs, and runs away. Hell that took longer to write than the scene takes to watch! While older games are capable of the same sins of today’s games, they also have moments of elegance which are quite beautiful. In the next 54 installments, I’ll be play through Sega’s hits from yesteryear, relive some fond memories, and find some hidden gems for the modern designer. This… might take awhile. Game 1 Altered Beast. It stars an undead dude who gets progressively muscular until he turns into a manimal. It perfectly sets the tone for this endeavor. Game 2 Comix Zone, a graphically impressive beat em up wherein a strangely muscular writer gets sucked into his own comic and has to punch his way out. I’m beginning to sense that “muscular dudes punching” was a recurring artistic motif in this era. Game 3 Crack Down, an interesting combination of gun-n-gun gameplay with time-attack and maze elements, with a top-down perspective and ludicrous plot that involves time bombs. Game 4 Ecco the Dolphin, a beloved classic flawed gem about singing cetaceans saving Earth from hostile aliens. Game 5 Gain Ground, a weird little shoot-em-up with a huge cast of 20 playable characters. Coming Soon Golden Axe, the legendary beat ’em up, a very influential brawler with a high fantasy theme.